Plot: Nine-year old Courgette accidentally kills his alcoholic mother and ends up in an orphanage where he quickly learns something that he never knew: life can be fun. Cast: Gaspard Schlatter (voice), Sixtine Murat (voice), Paulin Jaccoud (voice), Michel Vuillermoz (voice), Raul Ribera (voice), Estelle Hennard (voice). Language: English & French, dubbed and subtitled versions available. 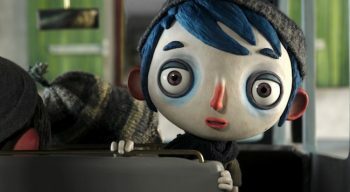 Adapted from Gilles Paris’ novel with tons of heart and sly humour, My Life As A Courgette isn’t your usual animated fare. 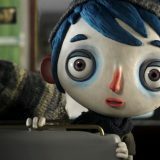 Described by its director as “Ken Loach for kids” Courgette follows the adventures of nine-year old Courgette who accidentally kills his alcoholic mother and ends up in an orphanage where he befriends a group of children wading through their own burdens. Disney, it’s not. Thanks to studios such as LAIKA and Studio Ghibli, tween animations in which ‘issues’ rather than cod sentimentality take centre stage are nothing new. However My Life As A Courgette feels life a genre-defining film. Despite it’s bold colour scheme, charming stop-frame puppets, and sparkling dialogue, it has a extremely dark undercurrent. It doesn’t shy away from showing the impact that the adult world can have on children. But it’s not a one-sided story either. If My Life As A Courgette has a ‘moral’ it’s that love trumps hate; hope beats fear. Thanks to the dedicated care of the orphanage workers and the friendship of his fellow orphans, Courgette quickly learns something that he never knew: life can be fun. Courgette isn’t a film to watch with your little ones. Nor is it the type of animation where the story is told on two levels – one aimed at toddlers, and one at the adults who are assumed to be watching ‘a kid’s film’ on sufferance. This is, in fact, a family film in the very best way – something you can watch and enjoy and discuss together. It will shock you, it will amuse you, it will move you, but it will never patronise you. Watch out for this gem come Oscar time.